Mixed golfing messages in Indiana, Wolf Run to close but a new Pete Dye development planned nearby. A fascinating news story emerged this morning from Zionsville in Indiana, where the Indiana Business Journal are reporting on a local developer’s plans to build a new golf course community less than 4 miles from the struggling Wolf Run Golf Club. It was announced back in December that the well regarded Wolf Run golf course was set to close, with the owner applying for rezoning in order to convert the site into a new housing and commercial precinct. Four miles south of Wolf Run, an almost 600-acre tract of land is at the centre of a new mixed-use development called Holliday Farms. The Zionsville Plan Commission is set to consider the new development application on April 16, and to assess whether Henke Development Groups’ plans to rezone the land are appropriate. So far little detail has been provided on residential and commercial density, but there is an intriguing announcement regarding golf – that Indiana’s favourite son, and Alzheimer’s sufferer, Pete Dye would design the golf course along with his wife Alice. While not suggesting that Pete Dye is anything but golf course architecture royalty, it seems curious that a 92-year old in poor health would be commissioned to lead the design of a golf course project presumably still years away from construction. 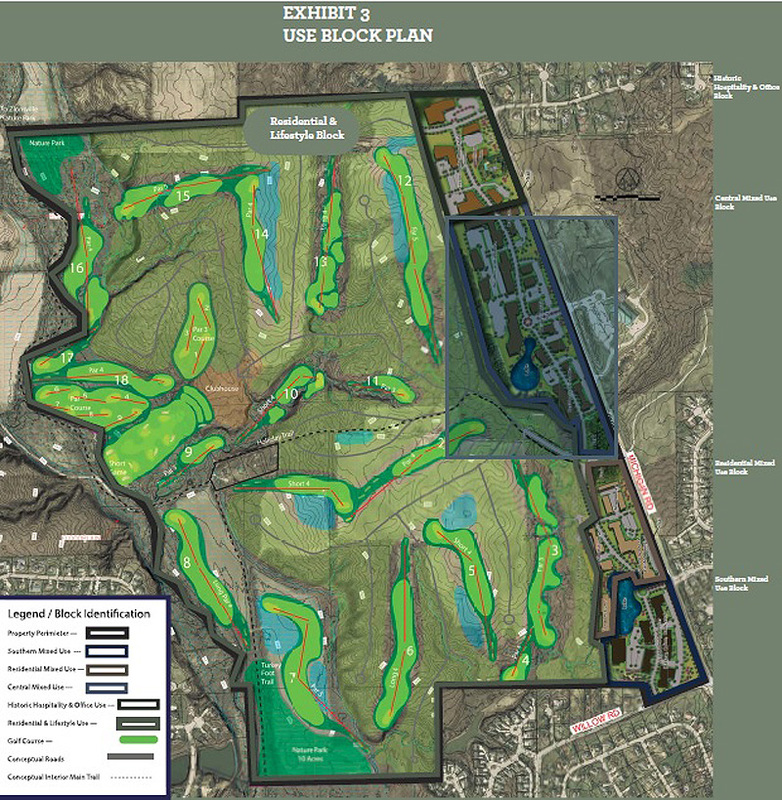 Beyond the curiosity of engaging Pete Dye to design a residential golf course at the earliest stages of planning, is the need for the course in the first place given Wolf Run’s predicament. It will be interesting to see how the local planning body view the proposal and, if the golf course comes to fruition, who actually handles the on site design work. A Westfield developer is hoping to develop nearly 600 acres in Zionsville for a golf course community that would include homes, restaurants, shops and more. The development would feature an 18-hole, championship golf course designed by legendary course architects Pete and Alice Dye of Carmel. If approved, the Holliday Farms golf course would be only the second new course to be built in central Indiana in the past decade or so, said Mike David, executive director of the Indiana Golf Office. The Club at Chatham Hills, a Pete and Alice Dye-designed course, opened in 2016 in Westfield in an 800-acre development by Henke that could eventually include 1,500 homes. 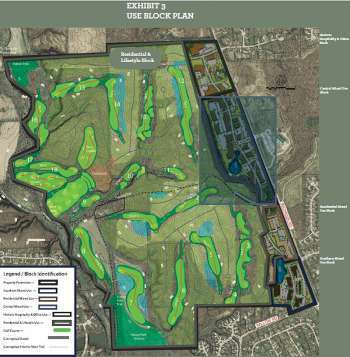 In addition to a golf course, the development would include a clubhouse with fitness and dining amenities as well as trails connecting to the Turkey Foot Trail for access to downtown Zionsville. Specific details about how many and what types of homes would be constructed were not included in documents submitted to the town of Zionsville, and the developer declined to provide specifics before the project is introduced to the plan commission. Besides Chatham Hills, which includes homes, the golf course, parks, garden plots for residents, a clubhouse with a restaurant, fitness center and gym, tennis courts and walking trails, Henke also built the Bridgewater Club golf community in Westfield more than a decade ago, which also includes a Dye-designed course.